Jacob Ralph Helsel of Duncansville, one of two men involved in a fatal ATV accident last year in the Blue Knob area was sentenced Tuesday to four to eight years in a state correctional Institution after an emotional hearing before Blair County Judge Timothy M. Sullivan. Helsel, 19, entered guilty pleas in June to charges of accidents involving death or personal injury and tampering with evidence as the result of the death of 18-year-old Mikayla D. “Mick” Focht. 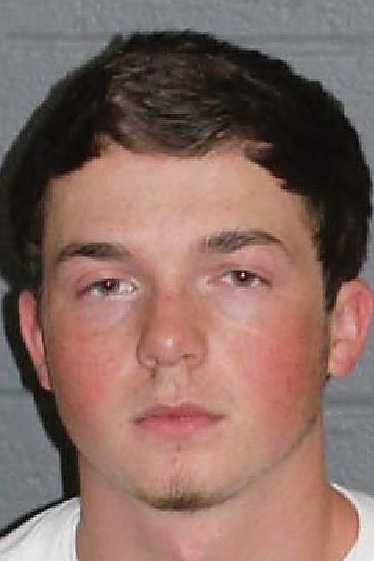 He was arrested along with Trenton Ross Bilak, 24, of Everett, who was driving an ATV carrying Focht. When the ATV struck two deer on Knob Road, Focht, about to graduate from high school, landed on the asphalt and died. “Helsel … traveling in a Jeep behind Bilak, ran over her body before hitting a utility pole,” according to charges brought by State Police Trooper Matthew McCalpin. Bilak, during a morning hearing before Sullivan, was sentenced to 8.5 to 17 years behind bars. Helsel’s hearing was held Tuesday afternoon. Both hearings attracted large crowds, and the sheriff ordered the afternoon hearing moved to the courthouse basement, which could seat many more people. Despite the numbers in attendance, the courtroom decorum remained quiet throughout the lengthy proceedings. But it was pierced periodically by sobs and crying as friends of Focht told the judge about her dedication to softball and her plans to play the game at Division I Saint Francis University in Loretto. Many also spoke of her loving personality and talked about the impact her death had on them. Focht was someone who inspired others on and off the field and in death she “remains my mentor in everything I do,” Showers said. Patrick-Swift is now head softball coach at North Carolina State University, but said that she so respected Focht that nobody on her teams will ever again wear Mikayla’s No. 4. “She will never be forgotten. I try to coach every day to honor her,” Patrick-Swift said. Focht’s former coach James Payne talked about how close he was to the Focht family and to Mikalya’s parents, Larry and Dawn, and said Miklayla was part of his family. “I struggle to find meaning about what you did or did not do. I hope you make amends for what you have done,” he said to both defendants. Helsel’s defense attorney, Christopher Jancula, presented several members of the Helsel family, including Helsel’s younger brothers, ages 6, 11 and 16. The youngest brother presented the judge with a picture he had drawn while the 11-year-old shed tears as he asked the judge for leniency. Sullivan took the time to address the youngster, telling him he is not saying his brother is a bad person, but he pointed out people sometimes make mistakes and have to be held responsible. Helsel was depicted as a hard worker who did labor on a farm and was employed by a bakery. He also served with a fire company. Both his father, Ken, and mother, Lisa, described how remorseful their son was and spoke of the impact of the accident on their son’s life. He has lost his opportunity to attend college and is no longer welcome at the fire company, they said. Amanda Jacobson, assistant district attorney, requested a five- to 10-year sentence for Helsel, but the judge found him remorseful and said Helsel took responsibility for his part in what occurred during the early morning of April 14, 2017. He ordered Helsel to serve two years’ probation following his prison sentence. Jancula said after the sentencing, “I think the judge put a lot of thought into (the sentence).” He said he always has respected the Sullivan’s decisions.